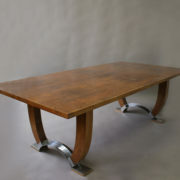 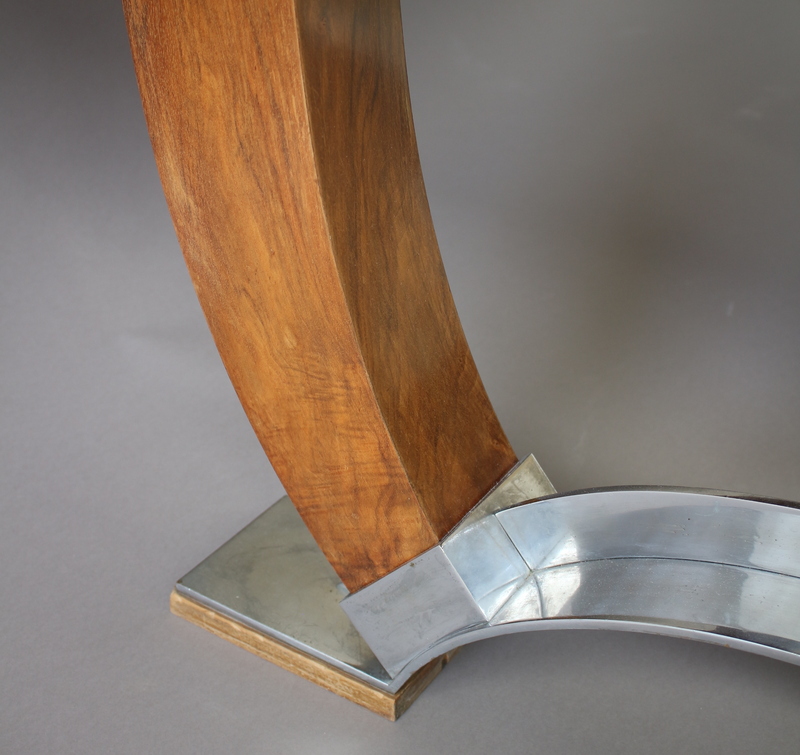 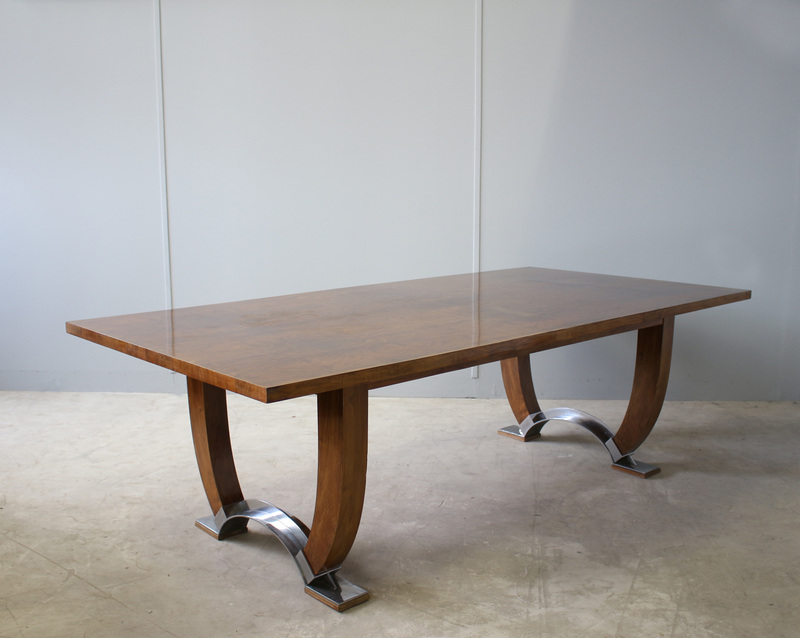 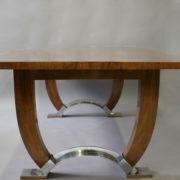 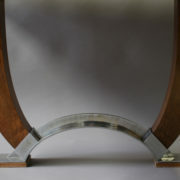 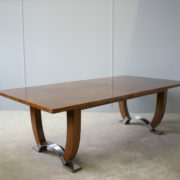 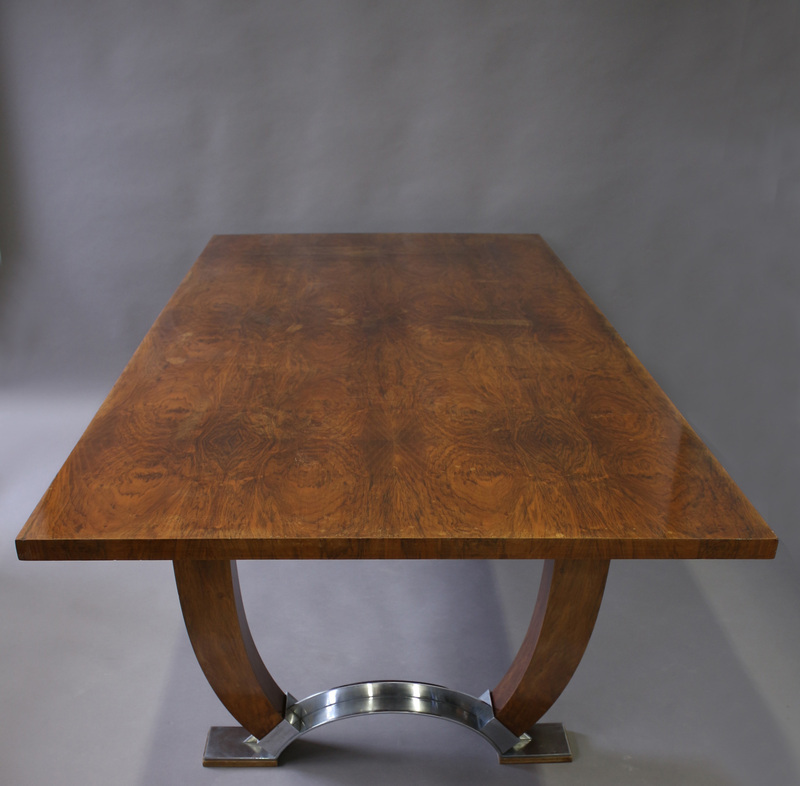 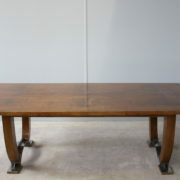 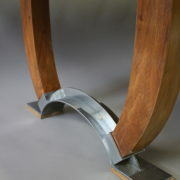 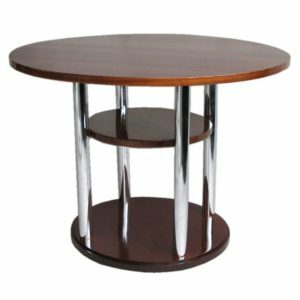 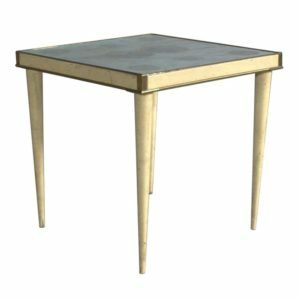 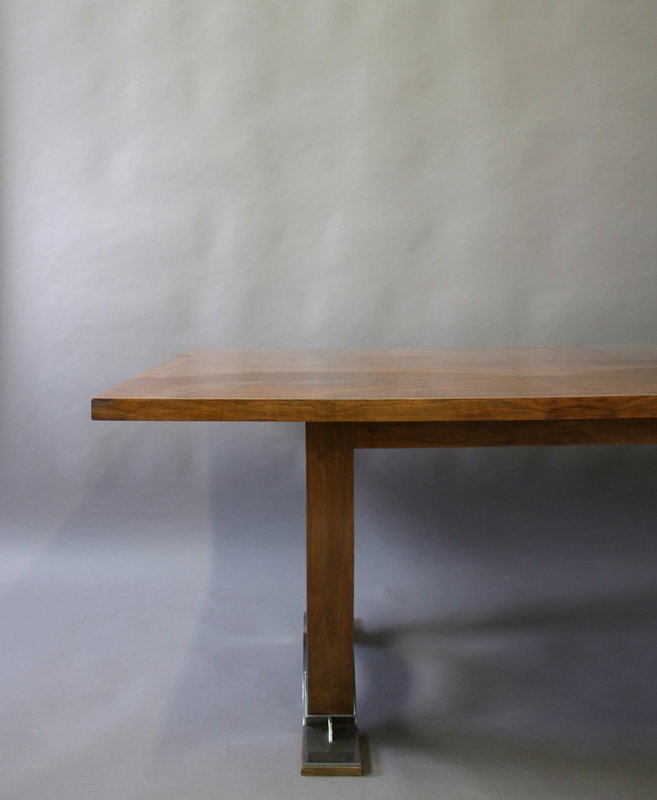 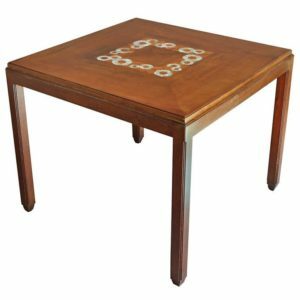 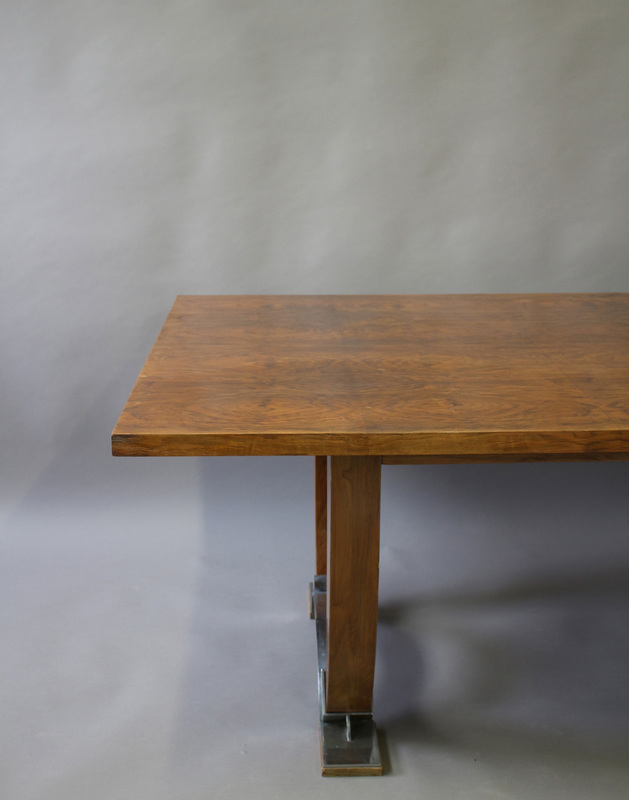 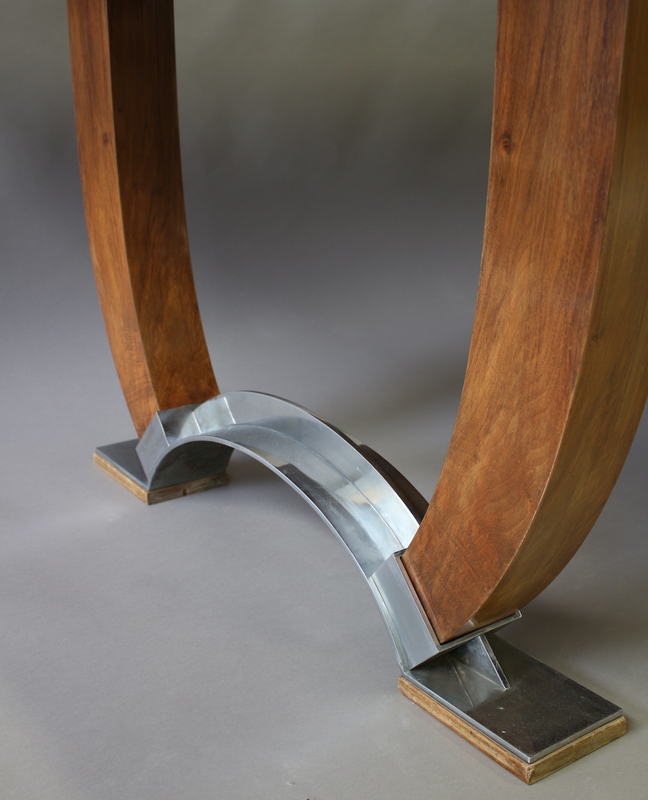 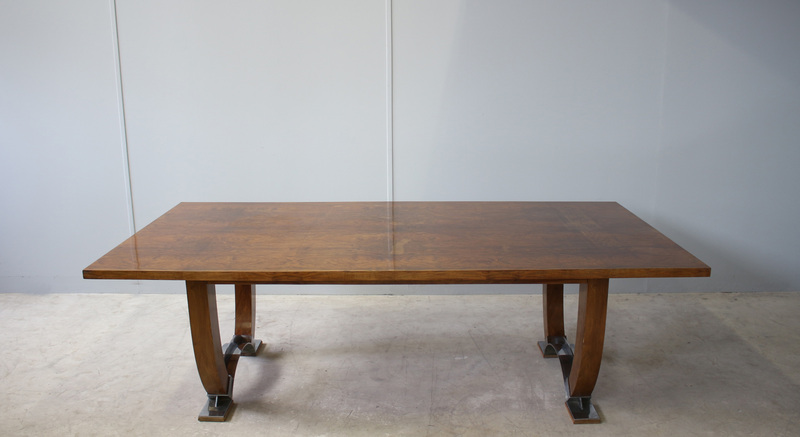 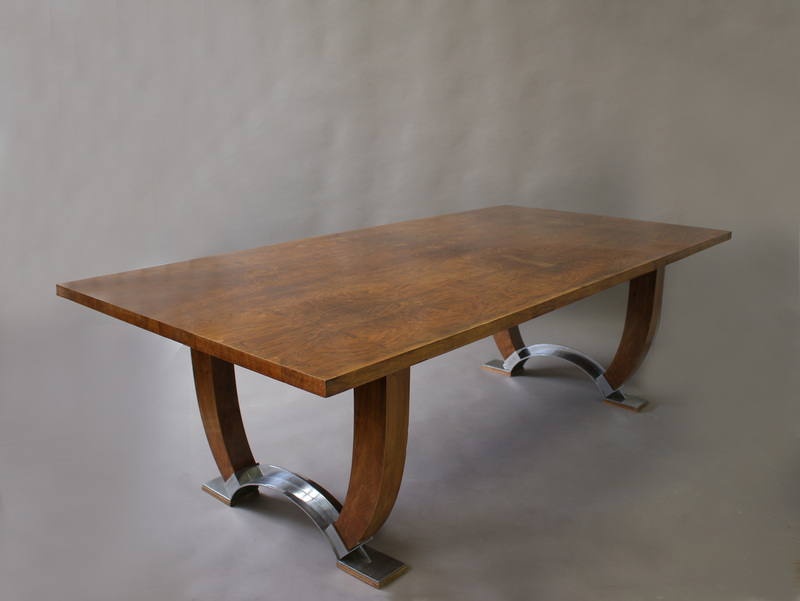 A large fine French Art Deco modernist extendable walnut dining table with chrome details. 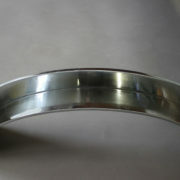 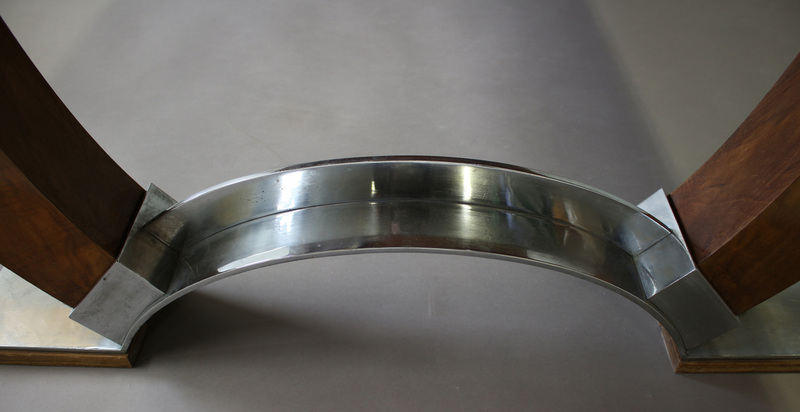 2 original end leaves, possibility for 2 more. 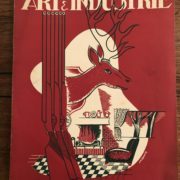 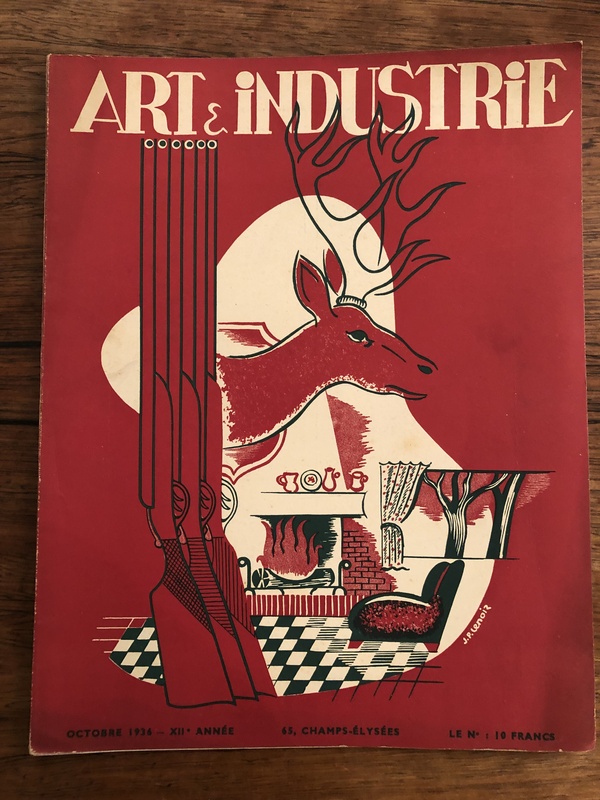 Documentation: « Art & Industrie » October 1936 – page 5. 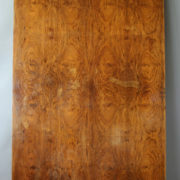 Good, small veneer works to be done (minor loss), and to be refinished. A large fine French Art Deco extendable walnut dining table with chrome details. 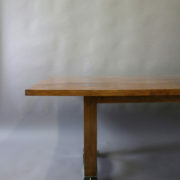 2 end leaves, possibility of 2 more. 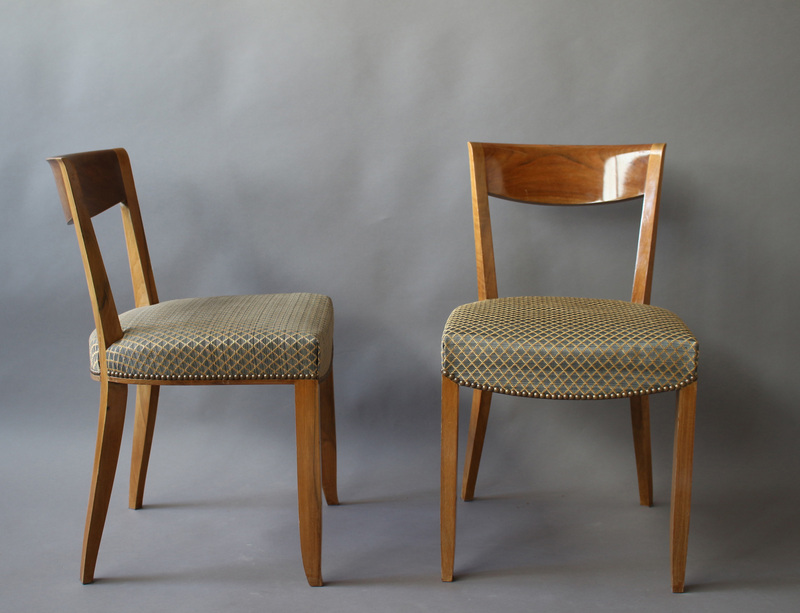 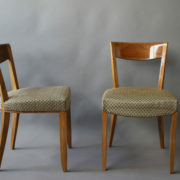 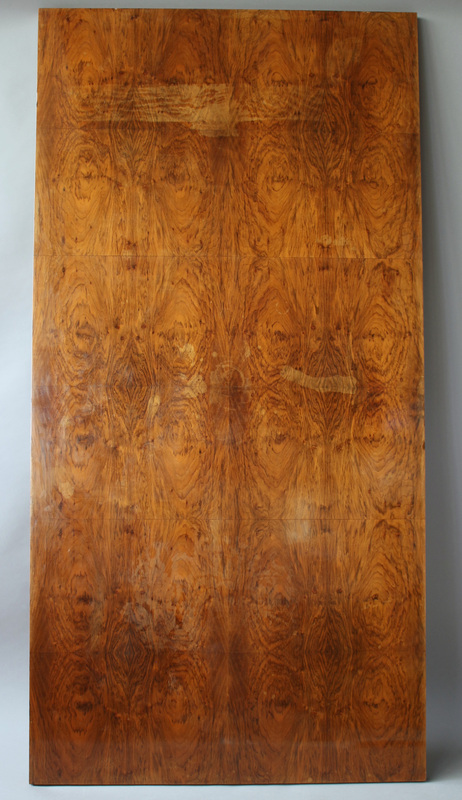 Good, small veneer works to be done, and to be refinished. 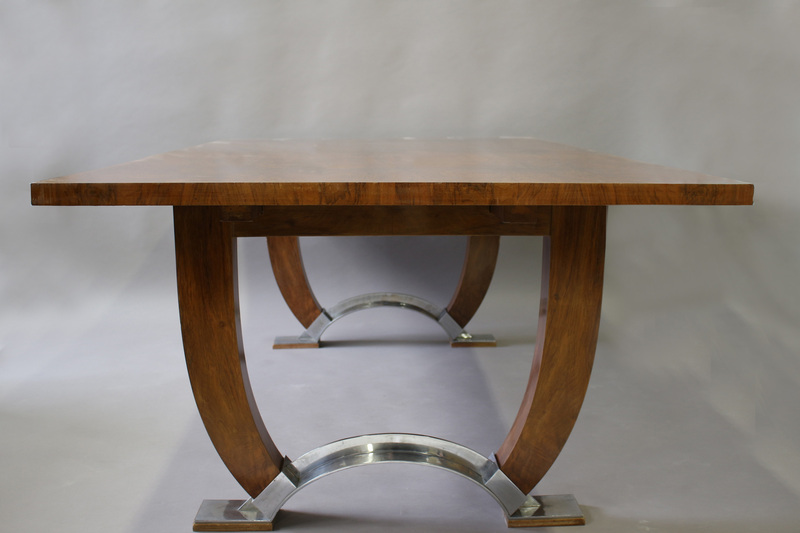 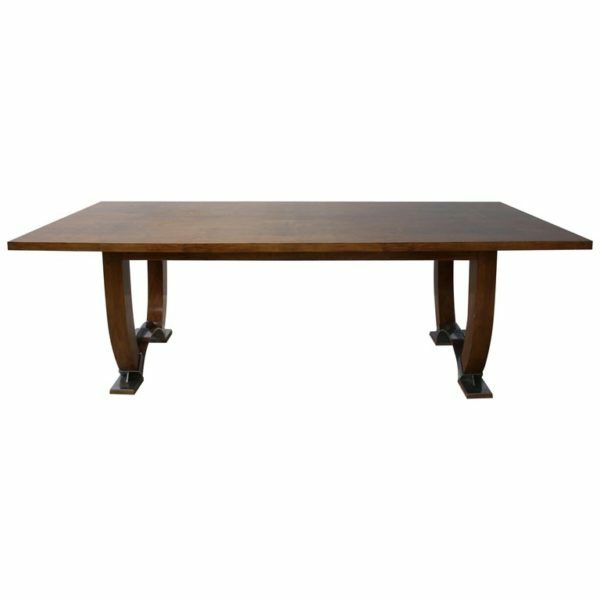 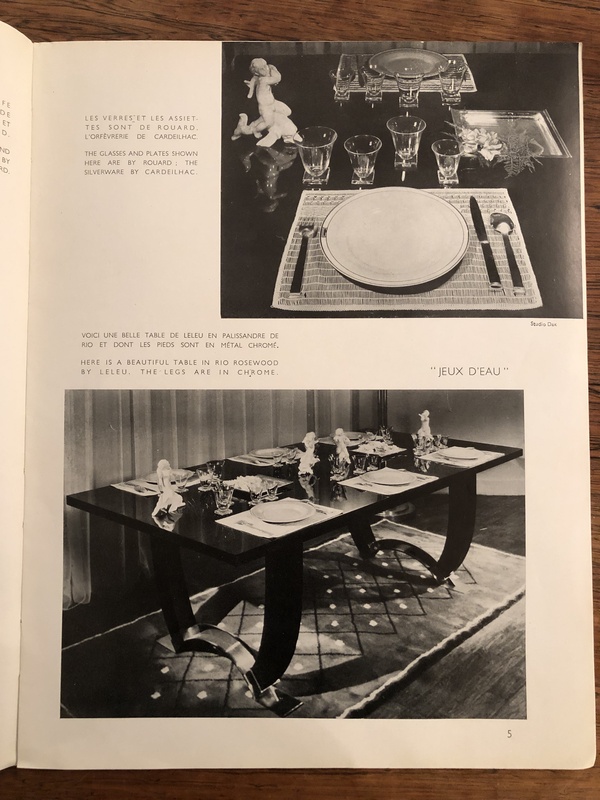 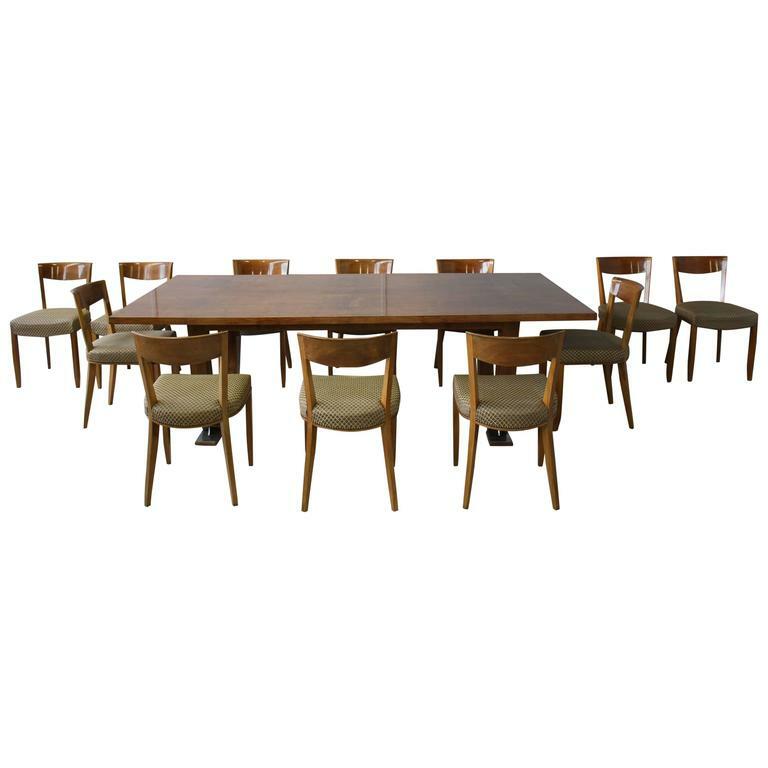 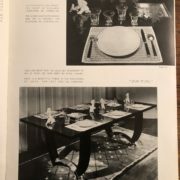 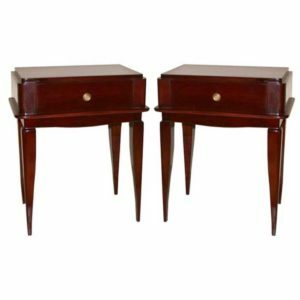 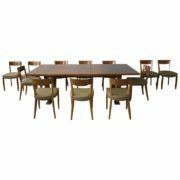 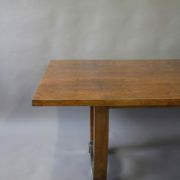 Soyez le premier à laisser votre avis sur “Large Fine French Art Deco Extendable Walnut Dining Table by Leleu (documented)” Annuler la réponse.